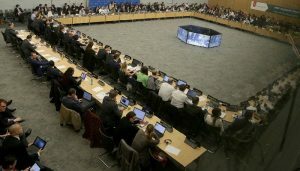 On Sunday, June 10, the regime’s parliament voted to postpone the vote to add the Iranian regime to the Financial Action Task Force (FATF) for two months. The regime is waiting for the results of ongoing negotiations with Europe before making a decision. The goal of the FATF is to disrupt money laundering and funding for terrorist groups. Regulations made by the convention will lead to substantial restrictions to the Iranian regime’s banking systems. Kayhan daily said the following: “Joining the FATF will provide new legal tools at our enemies’ disposal, establish a world consensus against the state and realize increasing sanctions against the country’s state institutions, such as the Revolutionary Guards (IRGC)… Will this not lead to a blow to the heroic [Lebanese] Hezbollah and the state’s strategic depth? “If we choose not to join this convention, we will not be able to monitor the hypocrites, or the so-called People’s Mojahedin Organization [MEK], in any country. However, by joining [the FATF] we can pursue the measures taken across the globe against the Islamic Republic, our country, our national interests,” said regime lawmaker Mostafa Kavakebian, one of most senior MPs in regime’s parliament. 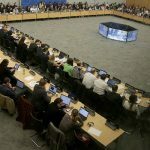 By joining the FATF, the regime will face mounting financial pressure to address its sponsorship of terrorism, including sanctions on a number of its institutions, such as the Revolutionary Guards. But the regime is so threatened by the MEK that it may join the organization anyway, in the hope that it might use its membership to monitor the MEK, which has become even more of a concern to Tehran in the wake of the massive uprising began last December and continues today. Although the regime claims that the MEK has no following within Iran and is on the verge of failure, it is willing to consider joining the FATF against its own interests in order to monitor the organization. It would appear that the regime believes that the MEK has more power than they are willing to acknowledge.